Issue 27 | January 2018 | "And now we welcome the New Year, full of things that have never been." Struggling with a Chronic Health Condition? Did you know that nearly 50% of all adults have at least one chronic health condition? Living with ongoing health problems can significantly limit daily activities, zap your energy and interfere with your quality of life. Join us for Healthier Living, a six-week workshop to learn the skills to manage chronic health problems and get back to enjoying your life. We’re organizing our first-ever Nutrition Conference for seniors. 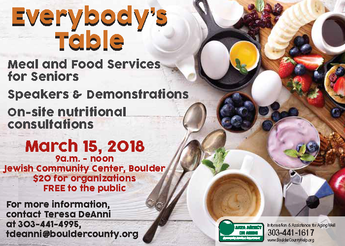 The event, on March 15 from 9 am - noon at the Jewish Community Center, will feature speakers, demonstrations, and on-site nutritional consultations. Visit our event page for more information. We're also looking for food-related agencies to have table space at the event. Please contact Teresa for more information. 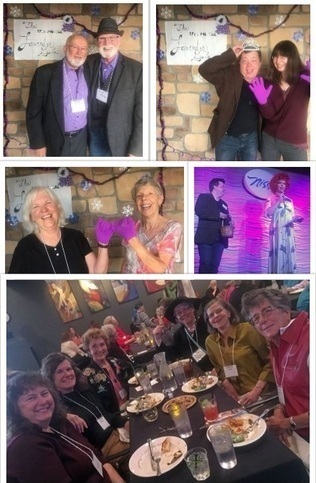 More than 200 fabulous community members gathered together for the 17th Annual Lavender Gala and wow, was it FUN! Talented performers provided a delightful backdrop for this yearly event that continues to be a mainstay for the Rainbow Elders of Boulder County. In fact, it can be the only time all year that many have a safe and affirming space in which to connect, celebrate, and relax completely as themselves. Special thanks to staff and volunteers and our generous sponsors: the Aging Services Foundation, the Jared Polis Foundation, the Open Door Fund, the Daily Camera, and the Dave Ensign Charitable Foundation. Click here to learn more about our LGBT Programs. 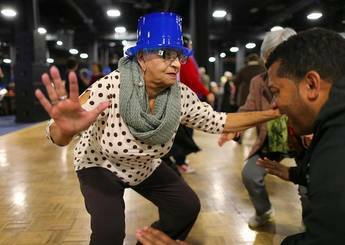 The long, cold winter months can be isolating for some older adults. A few of our programs recently shared some holiday cheer with seniors in remote mountain areas as well as those who are part of our Respite & Companion Program. 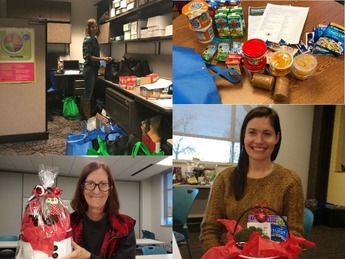 Staff recently distributed Blizzard Boxes of emergency food to older adults who are homebound or isolated in the mountain communities of the county. Each box provided six meals that will stay fresh throughout the winter in case these individuals run into an emergency situation. Our Respite & Companion Program Volunteers assembled holiday gift baskets for isolated older adults. The volunteers had a good time creating the baskets, and the older adults received some holiday cheer this season. For more information on our Respite & Companion Volunteer Program, click here. Care Connections still has a few ad spaces left for 2018. 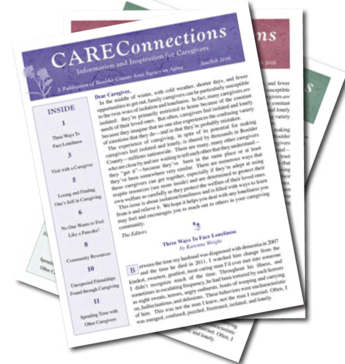 This bimonthly newsletter for family caregivers, is an excellent opportunity to advertise directly to 2,150 subscribers. Advertise today! 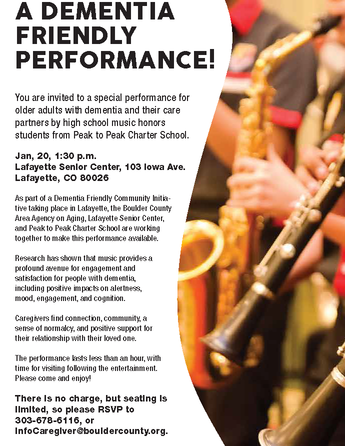 We’re partnering with the Lafayette Senior Center to host a special music performance for community members with dementia and their caregivers. Join us as honors music students from the Peak to Peak Charter School entertain the crowd. There is no charge, but seating is limited, so please RSVP or call 303-678-6116. 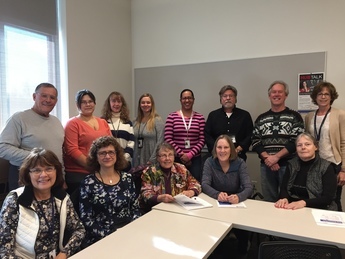 Our stellar Medicare team recently completed the Medicare Annual Enrollment Period (Oct. 15 – Dec 7) and did a phenomenal job helping more than 551 people across the county! This was a 15% increase from 2016. Our two-person staff, one part-time options counselor, one hourly employee, and ten volunteers provided exceptional, attentive service at 23 enrollment clinics and countless individual appointments. We are grateful to have such a dedicated team - thank you! Click here for more information on our Medicare Counseling services. 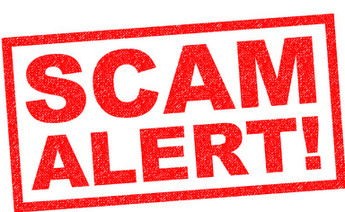 The Community Protection Division of the District Attorney's Office is receiving numerous complaints from local residents who have recently been on the receiving end of a wave of bogus IRS calls. The caller threatens imminent legal action, and jail time if the recipient of the call does not purchase Best Buy or other gift cards. The District Attorney's Office advises that you do not answer the phone if you don't know the number, and if a caller claims to be from the IRS, hang up the phone. For further information, or to report a fraud, contact the Community Protection Division at 303-441-3700. 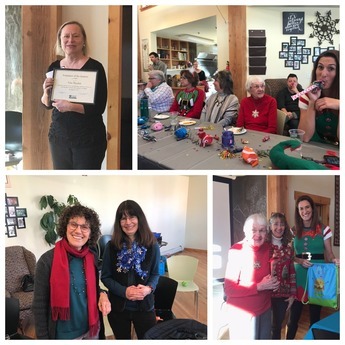 At our annual holiday all-staff gathering, we came together with members of our Aging Advisory Council and Aging Services Foundation to celebrate our work in 2017 and recognize staff and volunteers who have made outstanding contributions this year. Our Volunteer of the Quarter, Niki Hayden, was honored for her tireless work with the Dementia Friendly Committee which is now piloting a project in Lafayette. Thank you Niki! We also recognized Freda Hoskin as our Employee of the Quarter. Freda started working at the AAA in 2003 and works behind the scenes to keep us all on track. Thank you Freda! Boulder County is seeking volunteers who would like to voice their opinions and help guide decisions on matters ranging from resource conservation to community and work programs. To view descriptions and requirements for the various boards and commissions or to fill out an application, visit the Advisory Boards & Commissions page of the Boulder County website by Friday, Jan. 19. You never know what we'll post next!